Santa Fe Springs Area Car Wash Low Cost Cash Business w/Great ROI! This absentee operated Santa Fe Springs Area stand alone car wash is ideally located on a busy 7 lane road and a high-traffic intersection that boasts roughly 30,000 passing autos per day. The venue offers ideal access via its 2 entrances and benefits from its 400 foot high pole signage. As with other car washes, this business is 95% cash, with 90% of its customers purchasing its $5.00 drive through express service, while 10% pay $12.99 for its full service offering. They perform auto detailing however they do not heavily promote this service so it s an obvious expansion opportunity. Location and Facilities: The car wash tunnel, which has a car counter, had $200,000 invested in it 3 years ago and boast all new equipment, electrical, canopy and vacuums. The tunnel itself cost roughly $500,000 to build-out fewer than 10 years ago, and air dries vehicles. All of the business s furniture, fixtures and equipment are fully paid off and will be included. Support/Training: Seller or manager wil train for 2 weeks at 20 hours per week or as negotiated. Market Information and Position: A new owner will ideally be an owner-operator or at least a local resident as the business likely suffers a great deal as result of no owner oversight due to diminished customer service, the lack of customer up-selling and increased pilferage opportunities (there are not any surveillance cameras but they can be installed). 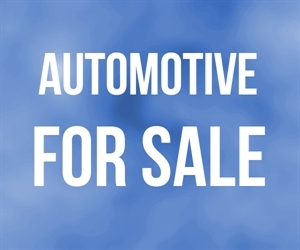 With additional oversight there are several opportunities for growth including hand drying, auto detailing, dent removal, paint sealant, ceramic coating, auto wraps, business advertising boards, vending machine, retail and convenience. Competition As car washes tend to be geographically based businesses, this one dominates its local area for residents and commuters. It is currently positioned to be a price driven operation as the owner is absentee and recognizes that it is tough to offer stellar customer service or a full-service offering without direct oversight or staff who are incentivized to maximize company profits.